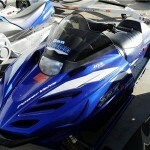 Jet Ski is the brand name of a personal watercraft manufactured by Kawasaki. 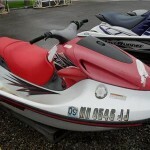 Even though this is a manufacturer name, the term Jet Ski is widely used when it comes to all makes of this type of watercraft. Whether you have a Kawasaki Jet Ski, Sea-doo or Waverunner, or any other make of personal watercraft (PWC) that you want to sell for cash in a hurry, let us know. We want to buy it from you for a fair price. We are primarily interested in vehicles on the east coast or the midwest in states like; Illinois, Ohio, Minnesota, Michigan and others around the Great Lakes. Florida is also a big Watercraft state and with a location there, we can typically pick up within a day or two. Any gulf coast state is a prime area for Jet Skis and watercraft. 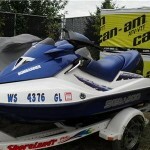 We’ll come to you and pick it up and pay you on the spot for your jet ski, Ski-doo, Waverunner etc.